News feeds must be selected to see news. To change the sources of the news feed, click the ‘News Feeds’ button in the top right and check or uncheck sources from which you would like to see news. 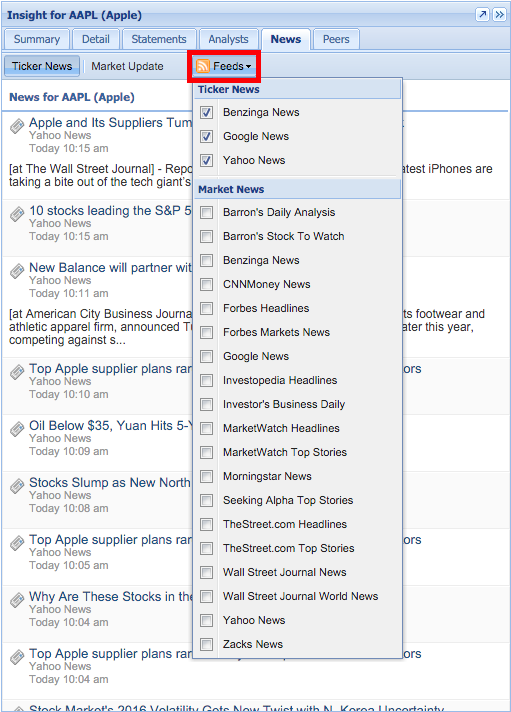 When you click away from the menu, the news feed will update to include stories from all checked sources.